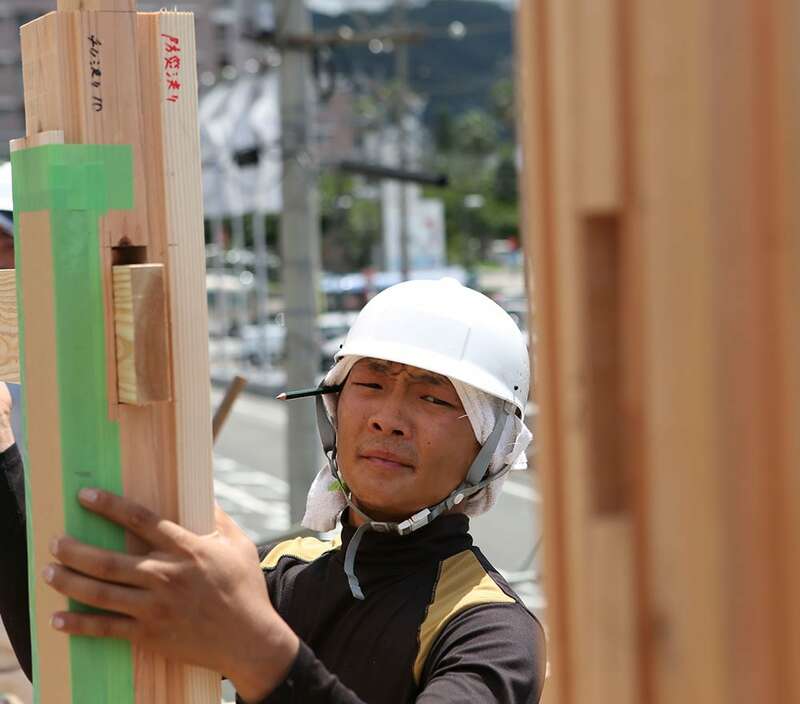 “Kizami” is the process of making a hole in a timber, making a cutout, and transforming wood from a simple “material” into a “member” constituting a building. 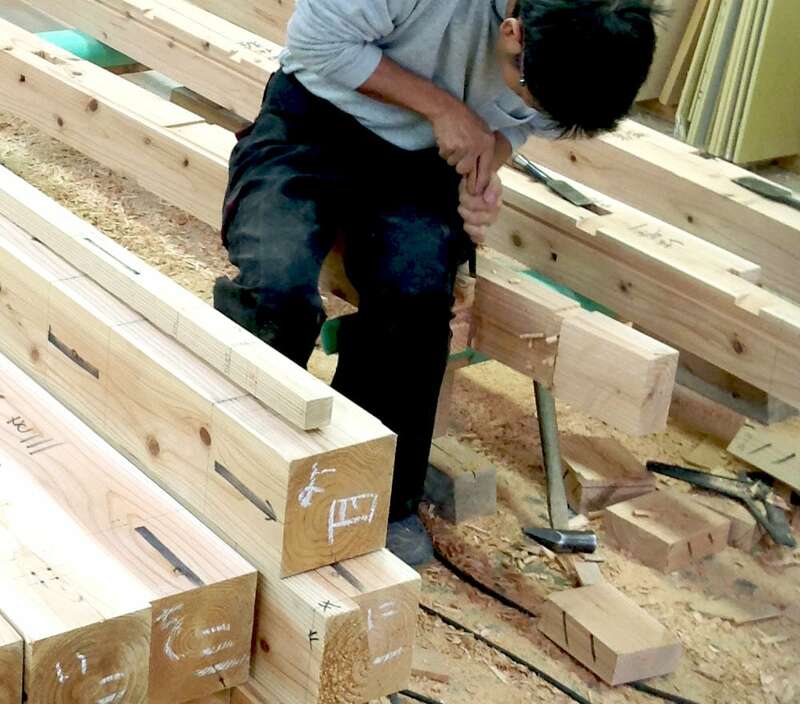 This process with hands is called hand-carving by carpenters, “te-kizami”. In contrast, when mechanical processing is carried out in an automated factory rather than by human workers, this is known as “precutting”. Currently, more than 90% of the houses built by the wooden framework construction method are constructed via precutting. In the case of carving, air dried lumbers are used as the structural material. A lumber has its own nature. The carpenter examines the nature of the lumber and puts it to the right place. It is also possible to identify the peculiarities of the wood and perform processing that cannot be done by precutting. In the traditional construction method, the framework itself is more important factor for resisting earthquake, rather than the wall. Frictional resistance due to many wooden contact points of the framework and sinking of wood are important elements to resist earthquakes. This gives it a tenacious structure. Because there are many contact points, there is also a damping effect during an earthquake.  A joint that connects a lumber material as a structural material in the longitudinal direction is known as a coupling joint, called “tsugite”, and the one connecting in the perpendicular direction is a junction, called “siguchi”. While pre-cut parts are made on the premise that the connection is fixed with hardware, in the traditional construction method, both couplings and junctions are processed so that woods are combined and connected without using hardware. Note that “without using hardware” is important. Because metal will draw moisture and rusts gradually. The wood connected to the rusty damp metal will also rot eventually. If couplings and junctions are rotten, they cannot stand up against an earthquake. It is important to select couplings and junctions that can withstand earthquakes without using metal hardware. And it is very important for the master carpenter to identify the nature of a wood, to select the proper couplings and junctions, and to determine the right way to build a house. A penetrating member, called “Nuki”, is a horizontal member that passes through a pillar by penetrating. The penetrating member plays the role of the undercoating for the earth wall, and prevents the house from breaking down. Since the framework built by a penetration structure theory has high deformation performance, even if the building is greatly inclined when exposed to external forces such as earthquakes, it will not collapse completely. This provides time for evacuation in case of emergency, and protects the lives of the residents. Diagonal braces and plywood, which are often found in modern wooden houses, strongly resist external forces within an expected range. The inclination of the house is small. However, when an unexpected force exceeding the capability is applied, the house will break down right away. When the brace or plywood breaks, the resistance of the building itself in the horizontal direction disappears, and the building will collapse. The house built by the penetration tie technique prevents from complete collapsing, provides time for evacuation in case of emergency, and protects the lives of the residents. Earth wall, called “tsuchi-kabe”, is literally the wall made of earth. Mud is painted on a mesh-shaped bamboo net, called “Takekomai”, which is stretched between the pillars, to form the earth wall. Takekomai bamboo net is made of many cracked and thin bamboo, called “shinodake”. When Takekomai is being knitted, the bamboo net and penetrate members are entwined with straw ropes. 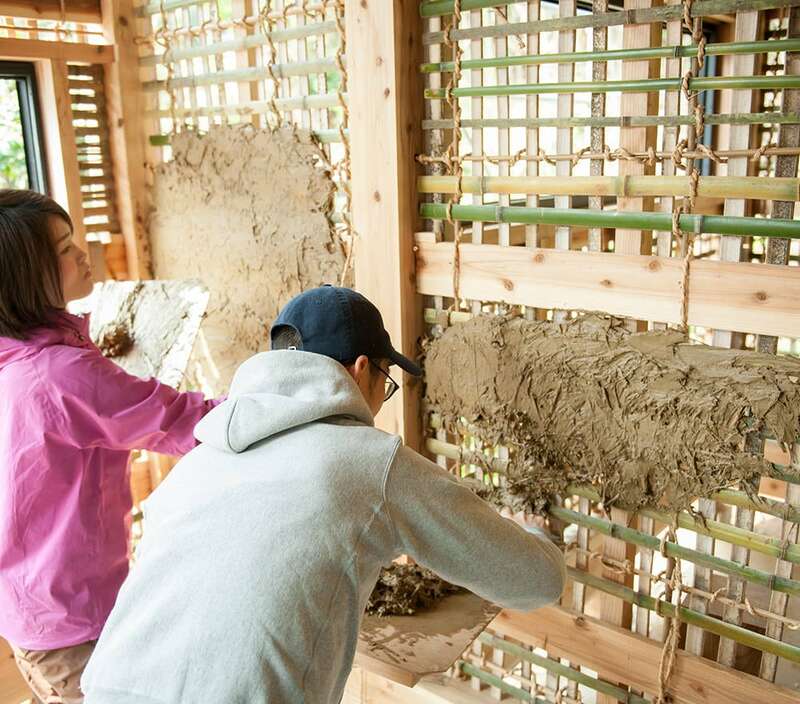 How to make the mud for the earth wall is to mix water and straw sash with clay-based soil. And leave the soil until the straw ferments and the mud has enough stickiness. And it takes 1 or 2 months to dry for the painted mud of the bamboo net. Earth wall is excellent in humidity control and heat storage performance. Because the moisture absorption and release performance is high, earth wall absorbs moisture when indoor humidity is high, and releases moisture when it is dry. The indoor humidity is kept at about 50% to 70% relative humidity. Also, the earth wall has high thermal storage performance and can store heat or cool air in the room. For this reason, the indoor temperature is not so affected by the outside air. The earth wall suppresses the sudden change of indoor temperature. The earth wall is also excellent as an element of resistance to the earthquake. At the time of the earthquake, the earth wall will be broken at first, because it is hard and brittle. When it breaks, it will consume a lot of energy and have a high damping effect. After the earth wall breaks, the coupling and the junction (wood contact point) will resist the earthquake shake. 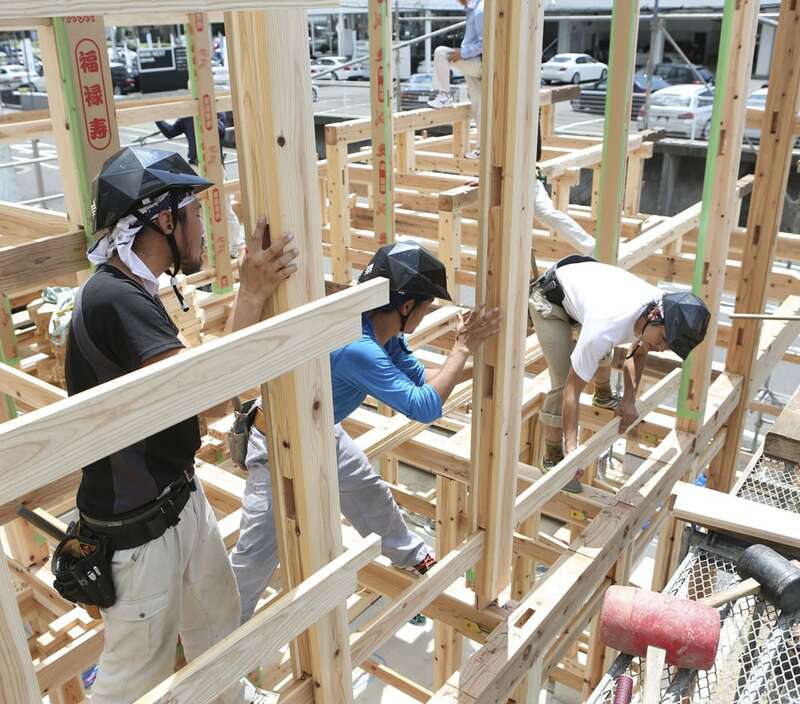 “Itakura” is a construction method in which thick and bold wooden plates are fitted between pillars and columns to make walls, floors and roofs as earthquake resistant elements. The “Itakura” construction method has been used frequently to build a shrine and a granary since many years ago. It has long been a method of setting up buildings to protect what is important to us, and long been necessary for our Japanese faith and living. That method has been of course used for a long time as a construction method for building a house. One of its major features is the comfort in the indoor environment. 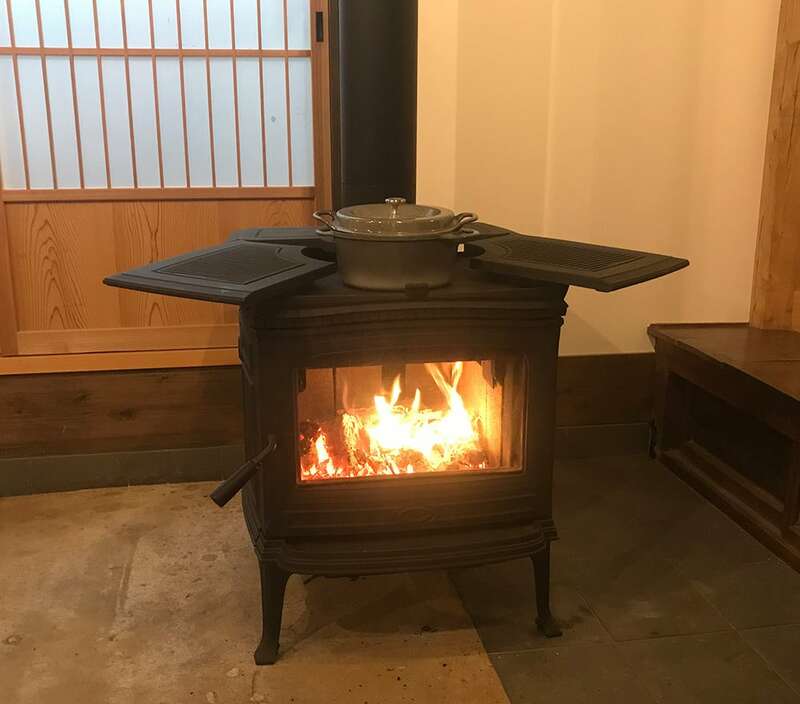 Since a cedar plate, which is usually used for the “Itakura” method, contains a lot of air; it feels soft, and has an excellent moisture absorption, a release performance and a thermal insulation performance. We feel comfortable in the interior, because the room is all surrounded by cedar plates. 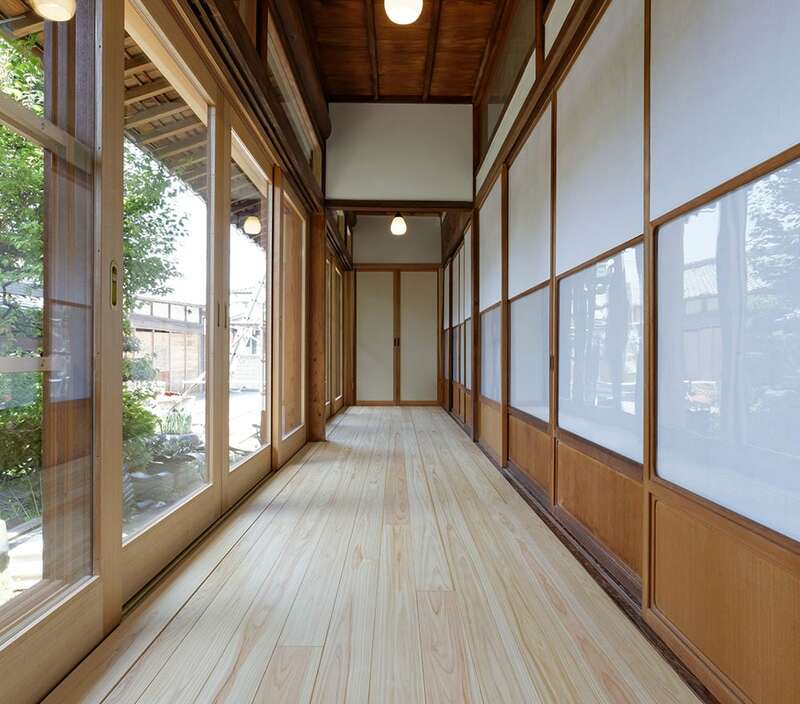 The structural materials, walls, floors, and roofs are all made of cedar. 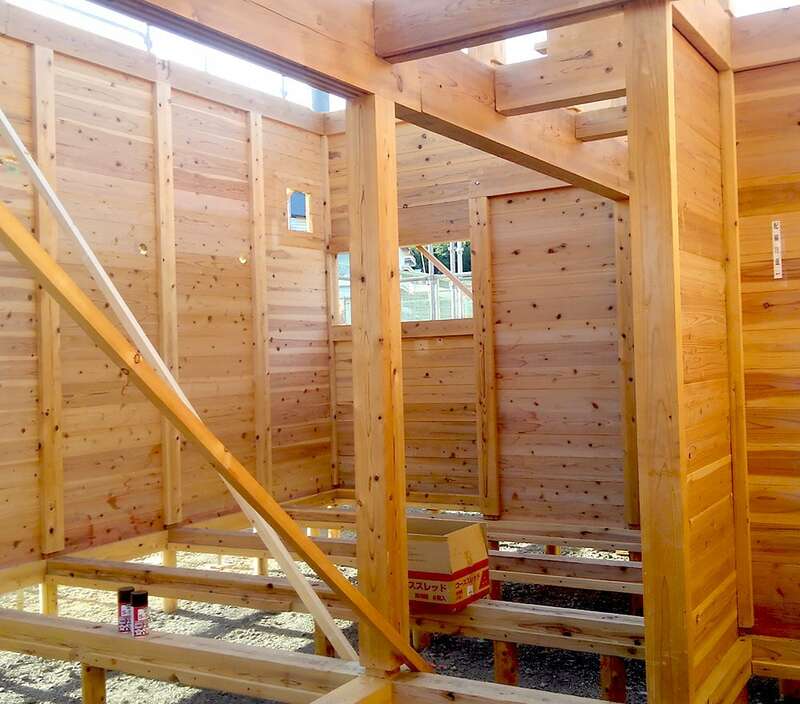 The “Itakura” construction method is suitable for Japan with abundant forest resources. The method is also superior in terms of structure. 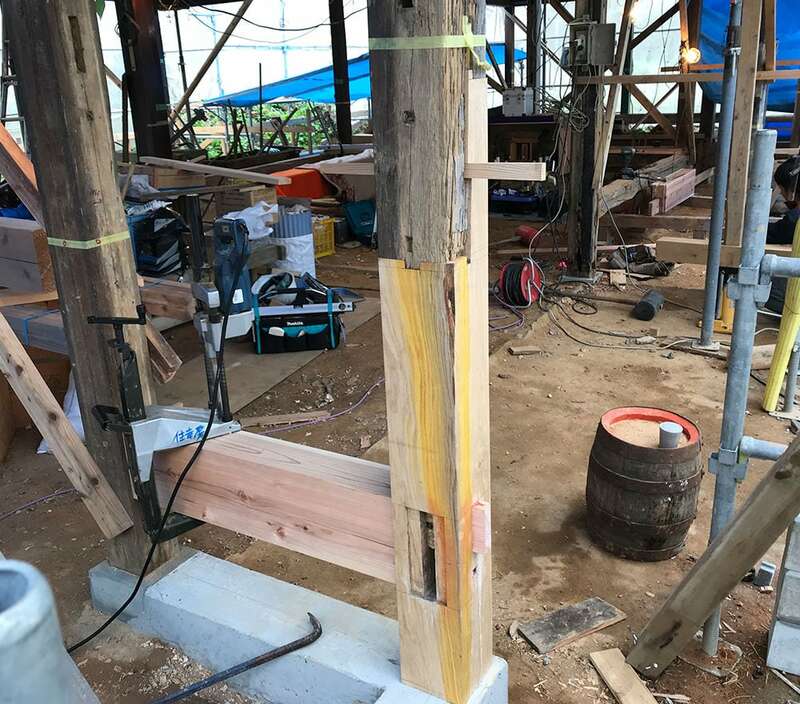 An “Itakura” house tenaciously resists to the external forces such as earthquakes, with the help of many contact points of the wooden plates, like the penetrating construction method. There is concern that wood is weak against fire, but there is a characteristic that thick and bold wooden plate does not burn rapidly. The speed at which the plate burns is 0.8 mm per minute. In other words, even after the plate burns for 30 minutes, it burns only up to 24 mm deep. The thick and bold plate is an important factor to prevent spreading fire as it takes time to burn down with fire. A house built by the traditional construction method can be reused for relocating or diversion, because the house can be dismantled by the reverse procedure of the building. In case of field rebuilding and relocation, almost all materials can be reused by exchanging only the damaged part of the wood and by remaking the soil. Also, trees and paper can be used as fuel, so even if the materials can not be reused, they are never discarded. The materials used for traditional construction method, which are wood, soil, stone and paper, will all return to the earth. The traditional construction method is very friendly to the environment. Moisture greatly affects the life of a building. Most of the materials used in the traditional construction method can adjust the humidity by themselves by drawing in or letting out moisture. Although moisture rusts metal, moisture is not much a problem for wood. Dry wood will not decay and last longer. In order to protect the material from moisture, put out the eaves deeply to avoid rain, or stretch the waist wall at the part wet by rain. When the house is damaged by an earthquake or the like, if you can apply partial repair, you will soon reuse the house. 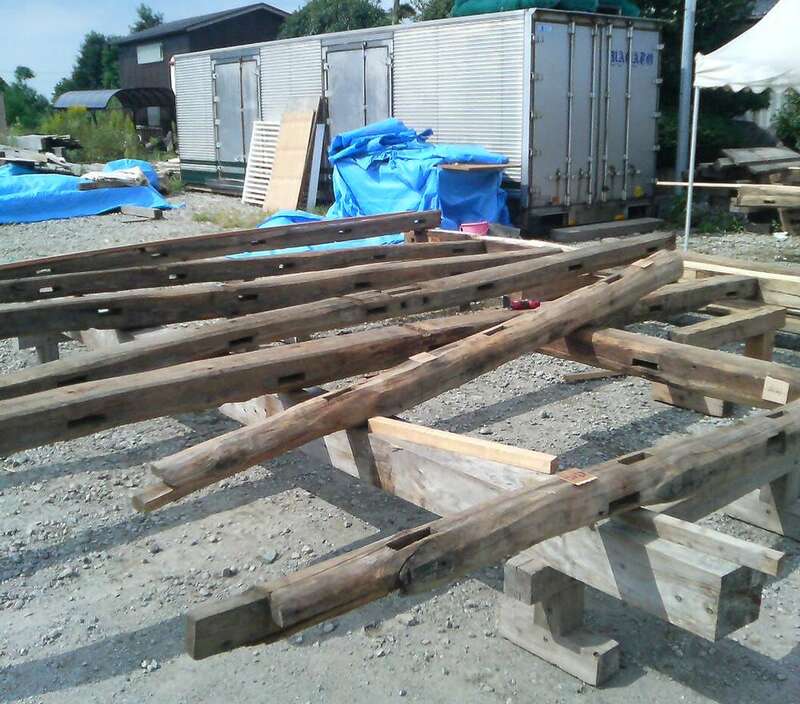 It is important to acquire “Shinkabe-zukuri” wall building style. You can see the structural materials of columns and beams, and can easily find damaged parts in the house. 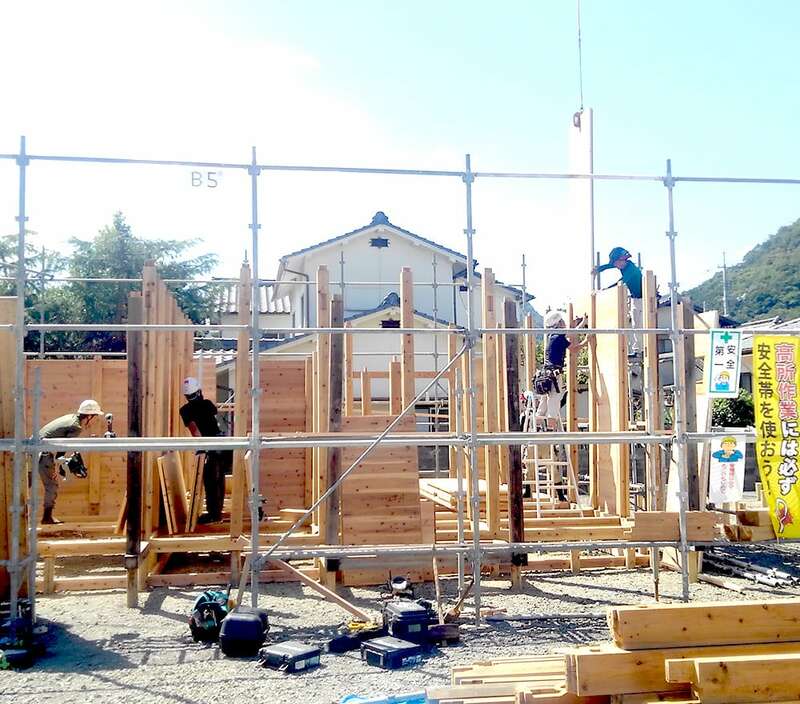 On the contrary, you cannot see the structural materials in “Ookabe-zukuri” wall building style. Even if the structural material is damaged, you cannot easily find out the place. Therefore, when you try to confirm damages in the house, the whole building construction is required. If you can see the structural material in the house, you can repair relatively easily not only earthquake damage but also the parts that have been rotten due to rain. When you change the layout with renovation, you can plan remodeling that will not hurt the structure. If you can easily reform the house according to the needs of the residents, you will be able to continue living in the house for a long time. A Building requires energy ① to build ② to use ③ to break, and ④ to reuse. When building a wooden house, the energy required is about one-third of the reinforced concrete structure and about a half of the steel frame. When dismantling wooden houses, if you burn the dismantled waste materials, nothing will remain except the soil. Using the waste materials as fuel is not so unusual. Wooden houses built by traditional construction methods can be reused if they are carefully dismantled. Even if you disassemble or reuse the house, only a small amount of energy is needed. On the other hand, the iron recycling consumes enormous amount of electricity and water. The concrete elements should be crushed into pieces for recycling or reclamation. Moreover, we have to prepare the crushing facility and the landfill sites. The wooden shaft assembly method used in the traditional construction method has the characteristic that the frame itself has strength, and apertures can be installed in many places. When you open many apertures, the wind flows in and out the house. On the contrary, in the construction method that relies on the wall, the position and size of the aperture are quite limited. The structure made by the traditional wooden shaft assembly method is the design itself. When you enter an old private house, you will look up the ceiling, and be fascinated by a roof truss structure arranged in an orderly manner and a powerful beam structure. 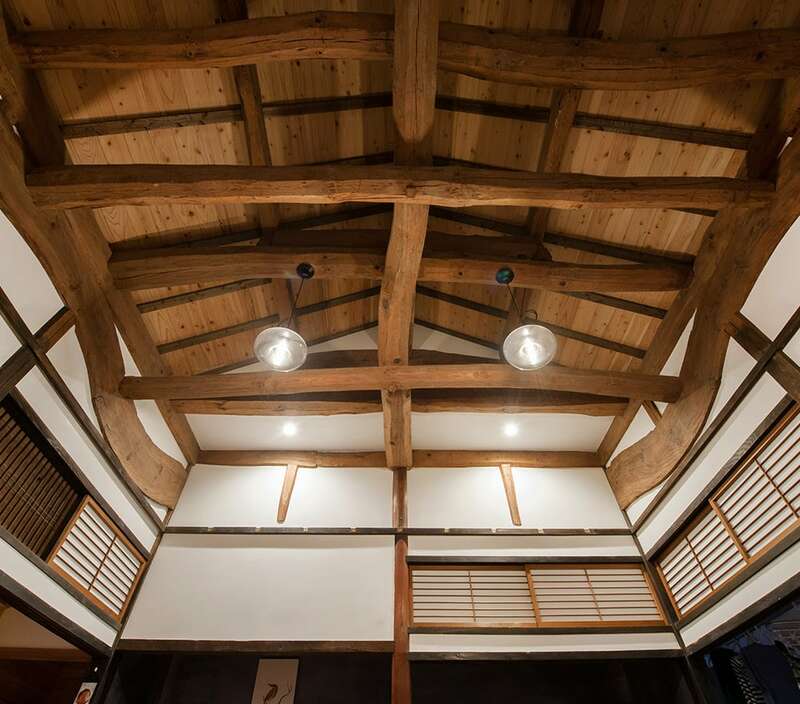 In the modern construction method, the ceiling is covered and the wall hides the structure with an “Ookabe” wall building style, but the traditional construction method shows the beauty without hiding the structure. There are also many sights where the function expresses the design such as the depth of the eaves and the lattice of the window.